Taking a tour of the window treatments Dr. Shade can offer you is just like taking a tour of the Big Apple. With so many different styles, looks, materials, features and benefits, there’s something here for everyone. 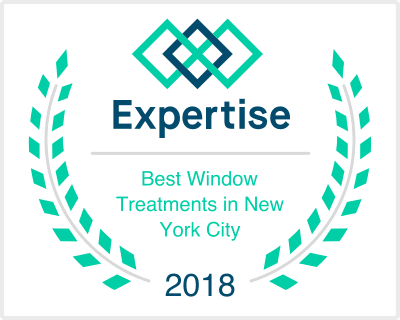 Window treatment options are as unique to one’s taste and varied as the five boroughs of New York City. What will translate as appealing and tasteful is entirely up to the individual. The sunrise over the East River is a beautiful sight – except when the night before was a really late one. Shades were just made for Manhattan style with great looks and even greater functionality. When the glaring summer sun is a problem, roller shades and solar shades are a great solution. While drawn open, the seamless sights and sounds of the city are yours to behold. When these shades are closed, unwanted noise and harsh light of the day remain outdoors, where they belong. For the stately homes of Staten Island, roman shades can blend right into the décor or they can stand out and make a statement. They’re an elegant window covering, available in an assortment of fabrics and colors that will naturally work in any room of your home. Renting doesn’t necessarily have to mean a living space that is unattractive and barren of window treatments, or window blinds that altogether degrade the look of the room. Aluminum blinds can dress up your apartment for as long as you plan to call it home, at a price that many can live with, even when you leave them behind to move on to your next home. Beyond their practicality and function, blinds will also increase energy efficiency and can help lower your utility bills. Classic older homes of Brooklyn demand a classic, organic look in window coverings. Wood blinds look great while the natural insulation properties of wood keep the outdoor elements at bay. Either on their own or paired with another, complementing window treatment, wood blinds can be used in just about any room in the house. Home is Where the Drapery is. There is a reason classic movies set in Brooklyn, Queens and the Bronx feature pinch pleat or ripple fold curtains in the windows. They’re perfect for the homes in these boroughs. Drapery can provide privacy and control light conditions while maintaining the elegant look of days gone by. If the visibility of drapery hardware is an issue because your windows go floor to ceiling, today’s cornices can solve that problem with a touch of class. Also known as valances, a modern cornice can match the drapes or give a small bit of sharp contrast to change the look of the whole room. They can mask an ugly wall or a window gap, and can make small windows appear larger. Sometimes the privilege of living in Manhattan means sacrificing the space you had “back home.” You might need to trade a separate sleeping room for a great apartment on the Upper West Side. If you do, a grommet curtain that compliments your décor can separate the sleeping area from the living area with a lot of style. No matter where you are in New York City, there is something for everyone at Innovation Shades. Contact us for your FREE consultation to make the place you hang your hat a little more like home.